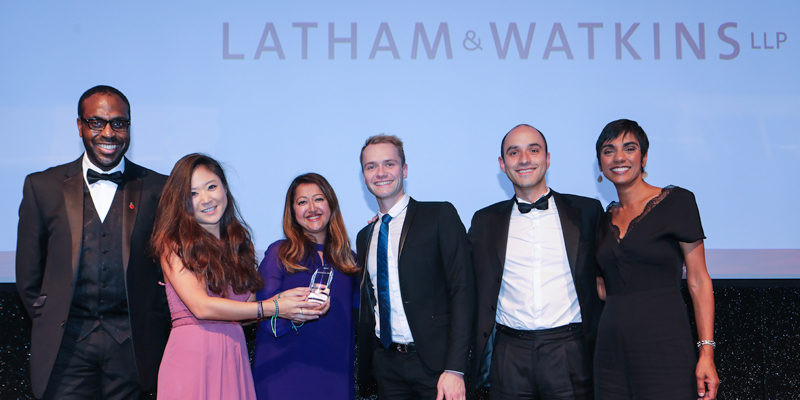 Diversity and inclusion role models, champions and leaders were honoured at the 9th Annual Diversity Legal Awards ceremony on Tuesday, 21 November at the prestigious Grange St Paul’s Hotel, London! This year we were delighted to showcase an incredible line-up of finalists representing a broad spectrum of diversity, including gender, ethnicity, sexual orientation, mental health and social mobility. The sold-out Awards were attended by over 300 guests and presented by the accomplished BBC Presenter and Correspondent, Reeta Chakrabarti. A truly diverse gathering of the great and the good from across the legal profession and beyond were unified in their celebration of the exceptional achievements of the Awards finalists, winners and those highly commended in shifting the dial on equality, diversity and inclusion within the sector. The celebrations were made all the more enjoyable by stand-out performances from classical violinist, Braimah Kanneh-Mason, and international singing sensation, Rachel Kerr. Thanks to our sponsors this year for their support in making this celebration of diversity in all its forms possible: Solicitors Regulation Authority, LexisNexis, Thomson Reuters and Linklaters LLP. On that note, we hope you will nominate your diversity champions, role models and initiatives for the UK Diversity Legal Awards 2019 (our 10th anniversary year), nominations for which will open in the Spring! Details will follow in the New Year. Until then, best wishes for the upcoming season.